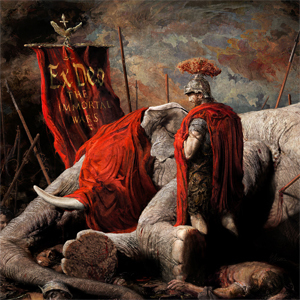 EX DEO Premiere Music Video For "The Roman"
EX DEO have already spread the word of Rome in the form of their first track "The Rise Of Hannibal". Now it's time to take the next step and dive deeper into their upcoming album The Immortal Wars. Now it is time to present the new video and song "The Roman" on the EX DEO screen! The Immortal Wars will be released worldwide on February 24th 2017 via Napalm Records. Pre-order your copy of The Immortal Wars! The first single "The Rise Of Hannibal", as well as the brand new "The Roman" are instant grat tracks - if you pre-order the album, you'll get both singles as an immediate download!